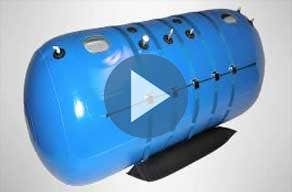 Watch our video library to learn about portable concentrators, home concentrators, traveling with oxygen, oxygen therapy, maintenance and more. 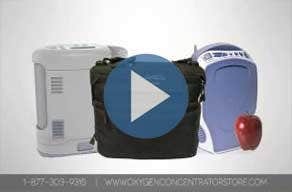 Watch our video library on portable oxygen concentrators. These videos will teach you the key features of each portable machine; specifications and dimensions. We also touch on battery life and recharge times, oxygen concentration, operating the machine and important reminders about traveling with oxygen. Watch our video library on home oxygen concentrators. These videos will teach you the key features of each home machine; including specifications and dimensions. We also touch on how oxygen is delivered, electricity usage, noise level, and machine maintenance. Watch our video library on traveling with oxygen concentrators. These videos will teach you about essential steps and reminders about traveling with a concentrator when you fly, drive or go on a cruise. We touch on topics like arrangements for any special accommodations, battery life and recharge time and machine storage. Watch our video library on oxygen concentrator maintenance. Watch our video library of oxygen concentrator expert reviews from our oxygen specialists. Watch our video library on Medicare and oxygen therapy. These videos educate on Medicare and oxygen therapy, introductions on oxygen therapy and how a concentrator works and how it produces oxygen.